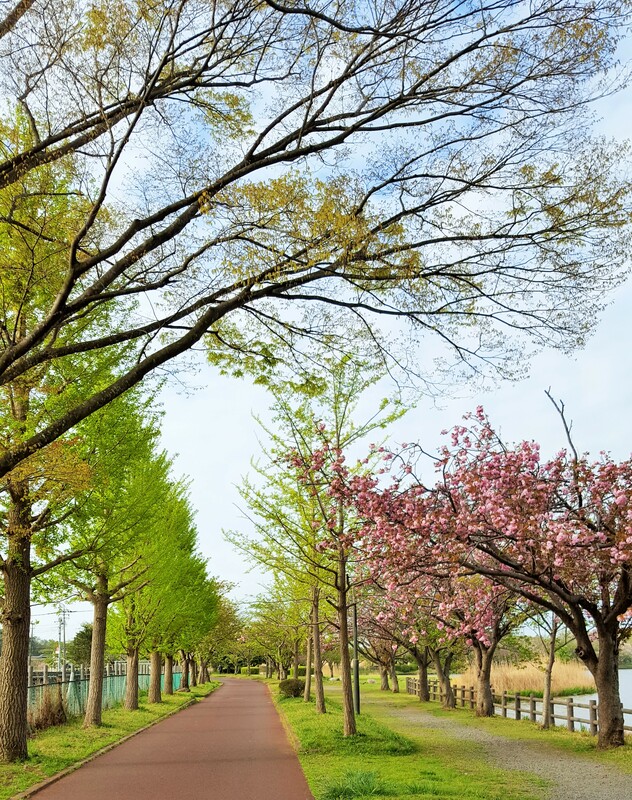 Mei-Shun enjoyed walking under 八重桜 in the best blossom and fresh green at 乙戸沼 Park. 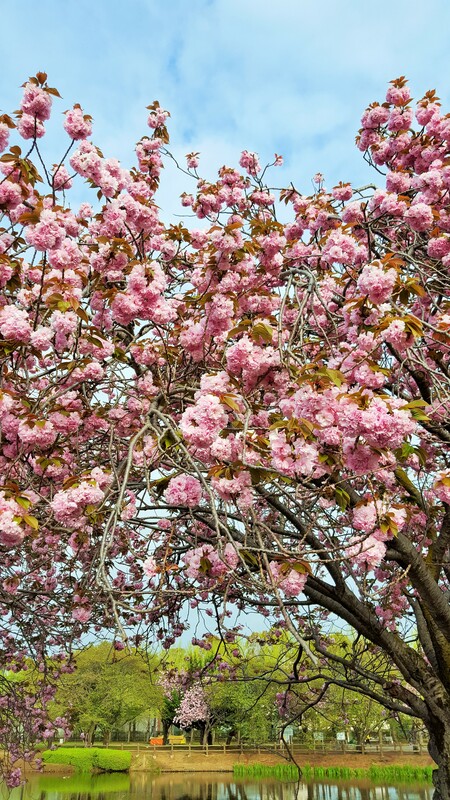 When she saw the “symbol tree” with light-pink flowers half open a week ago, others in brighter shade looked still sleepy. Or they had become senile she worried, yet it was proved to be wrong. After that she met Dr. M for a checkup in every half an year. One tooth was found in a poor condition, not caused by sweets.